At Hammond Aesthetic & General Dentistry, one of the most common complaints we hear from Orem general dentistry patients is problems with mouth sores. Though not contagious, the most common complaint is canker sores, which affect an estimated eighty percent of the Provo population. Canker sores can be attributed to stress, tissue irritation, or acidic foods. Dr. Hammond can prescribe a topical dental paste to relieve pain and guard against infection. Recurring canker sores can sometimes be a symptom of a larger health problem. Another common complaint is fever blisters or cold sores, which are contagious fluid-filled blisters. 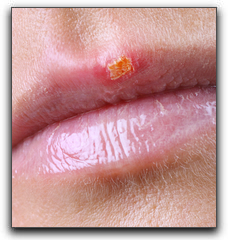 Orem cold sore sufferers should be aware that they can become infected. At Hammond Aesthetic & General Dentistry, we advise our patients on how to treat cold sores and avoid further breakouts. Dr. Hammond remind patients that eating a well balanced diet, drinking plenty of water, and not smoking can all aid in oral health and hygiene. To schedule an appointment, or ask about other oral concerns, contact Hammond Aesthetic & General Dentistry today at 801-374-0070. 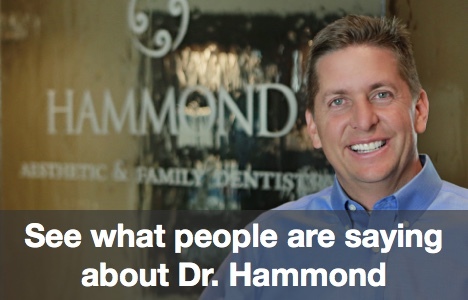 Hammond Aesthetic & General Dentistry provides the full spectrum of general, family and cosmetic dental services. We offer teeth whitening, porcelain veneers, crowns and bridges, clear braces, and complete smile makeovers.